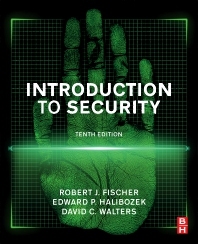 Introduction to Security, Tenth Edition, provides an overview of the security industry with an emphasis on the theories of security and loss prevention that have shaped the profession. Security is covered in totality, providing readers with a glimpse of the various and diverse components that make up the security function. This updated book is the latest edition in what has historically been the go-to textbook on the subject for more than 30 years. While this fully updated edition continues to utilize the basic concepts that have made this text the premier primer in the security field, it also focuses heavily on current and future security issues.